Should I Gate Check this Bag? You are at the terminal. You have already checked in your suitcase, at the curb. The gate attendant hands you your boarding pass and says you are in the third boarding group. She says that bag is pretty big, and will not fit under the seat. The overhead bins may all be full, when you board. Would you like to check your bag, here at the gate, with no charge? 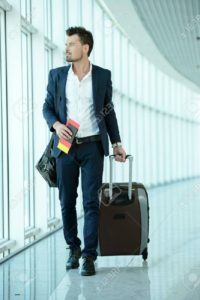 Do you have a connecting flight, with a short layover? Better verify with gate agent that your bag will transer to the connecting flight, before checking it. Does this bag have valuables like your jewelary in it. Did you put your meds in that bag? Could you do without that bag overnight, if it didn’t make the connecting flight? Although checking your bag for free, sounds good, it may not be wise to do so! It just depends on your individual circumstance.